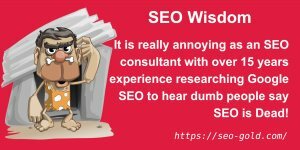 There’s an SEO myth having an XML sitemap will improve the rankings of indexed webpages (better Google ranking, better SERPs), this is NOT true, though it is much better than the SEO is dead myth!. XML sitemaps can play an important role in search engine optimisation, but they do NOT directly improve Google rankings/SERPs. An XML sitemap is a very simple concept, create a file (plenty of ways to make an XML sitemap) with a complete or partial list of webpages you want indexed on a site. 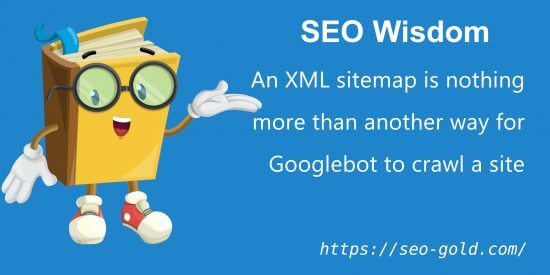 The XML sitemap provides search engines like Google an easy to access source of webpages with suggestions of how important a URL is and when it was modified last (optional). There’s not a lot to it, just a list of links with priority and when it was modified and Google can ignore the priority information. 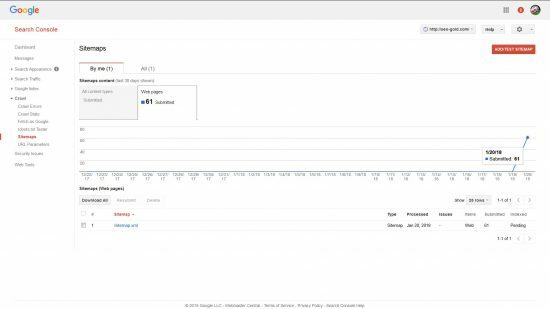 Under a sites Google Webmaster Tools Account (Google Search Console) you can submit XML sitemaps and Google will use it to quickly find new webpages to index. 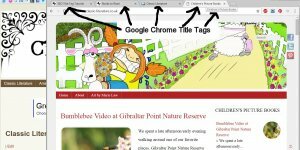 I only just (today) got around to adding an XML sitemap for this site, I’m in the process of rebuilding the site (years ago I moved the content to another site, so I had to start again with new content recently) and it only has a couple of dozen WordPress Posts/Pages and Google won’t struggle to find them. Basically smaller a site is, easier it tends to be for search engine robots to spider everything. This site doesn’t NEED an XML sitemap, Google will visit sites without a sitemap by randomly following links. 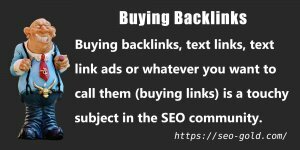 More backlinks your site has means more likely Google’s search engine spider (called Googlebot) will happen to find one of your webpages. An XML sitemap is nothing more than another way for Googlebot to crawl a site. You can see from my Google Webmaster Tools Account (Search Console Sitemaps) screenshot below the XML sitemap lists 61 webpages, this includes the home page, WordPress Posts, WordPress Static Pages, Categories and individual comments**. I don’t use Tags and I don’t want Author Archives or Dated Archives indexed for SEO reasons (waste of link benefit). **I use a WordPress SEO Plugin which allows search engines to index individual comments like this one: Hiring Skilled Search Engine Marketing Staff vs Unskilled. The comment webpage looks a lot like a WordPress Post, but it’s a WordPress Comment which can be indexed and ranked by Google in it’s own right, so I want them crawled/indexed so have added them to the XML sitemap (at the bottom of the sitemap, see screenshot). I’ve recently started using WordPress Attachment Pages in a similar way, when you upload an image to WordPress it creates a stand alone webpage which with the right theme template (I built an SEO’d one) can output a fully SEO’d webpage, you can even add extra text/content to support the image. If you click the image above (most images on this site) you’ll see it opens a webpage with a single image and a little bit of optional supporting text (I add the text manually, I also add a Tweet Image link manually as well: gives me more stuff to Tweet about easily :-)). Google spiders and indexes these webpages and I need to find the time to modify the code of my XML sitemap generator plugin to add WordPress attachments to the XML file: after making the modification this site will have another 100+ URLs (all WordPress attachment pages) included in the XML sitemap. 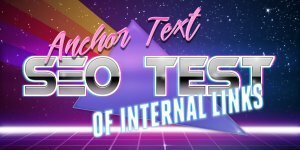 The day after writing the above I spent an hour modifying my already modified WordPress XML Sitemap Generator Plugin to now output image attachments (jpg, jpeg, gif and png images). As soon as I submitted it to Google’s Search Console the number of pages increased from 61 to 181, so Google now has easy access to 120 WordPress Image Attachment webpages. 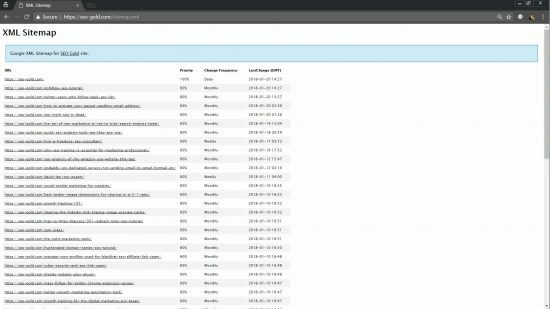 You can view the live XML sitemap at https://seo-gold.com/sitemap.xml, the image attachment pages are missed in with the WordPress Posts (was the quickest way to modify the plugin). 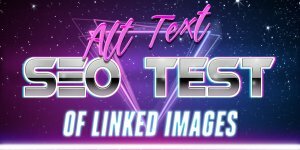 I’ve highlighted the four image attachments in the screenshot above for this WordPress Post and after I update this Post there will be a fifth URL for the image above. I think you can already see the value to this site (a relatively small site) of having an XML sitemap, for Google to randomly find the indexable comments and WordPress attachment pages Googlebot has to visit every WordPress Post and from those Posts follow the links to the indexable comments and attachment pages: it’s highly likely some will be missed for days/weeks after first creation or a content modification. 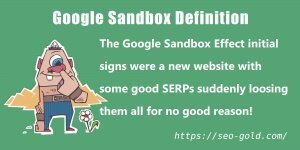 Even if Googlebot is crawling a different set of webpages everyday (which it won’t) to randomly index just 200 pages will take a week! 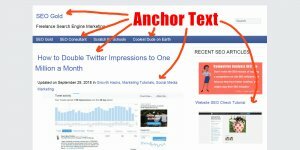 The Comments and attachment pages are deep content with only one internal link, relatively hard for Googlebot to find from randomly following links. Having them within an XML sitemap that’s been submitted to Google can significantly speed up first AND future spidering of this deep content. 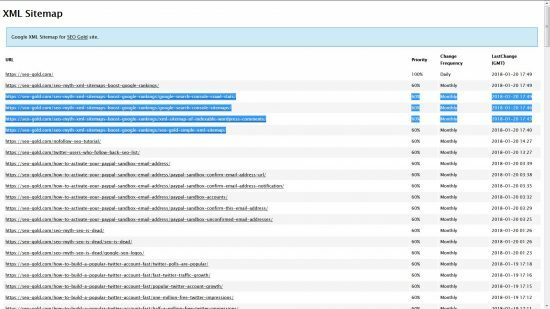 To put things into perspective this WordPress Post will be automatically linked from the Home page and relevant Categories as soon as I hit the “Publish” button, Googlebot could find and index it within minutes of going live. 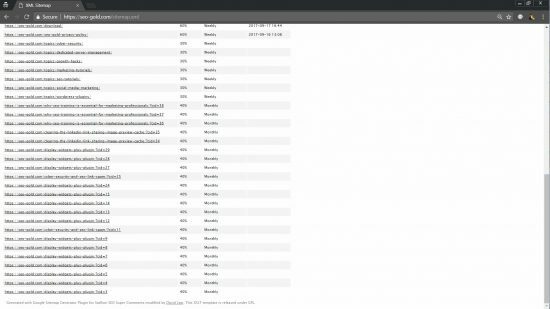 The WordPress attachment pages (the images above) could take days/weeks to be indexed because they only have a single link from this webpage and Googlebot when it hits this page could leave via any of the other links. As you can see I think XML sitemaps can play an important roll in giving Google quick access to hard to find content, however this does NOT mean Google will index it all AND rank it higher in Google. There is no evidence adding a URL to an XML sitemap will increase it’s likelihood of ranking higher in Google. 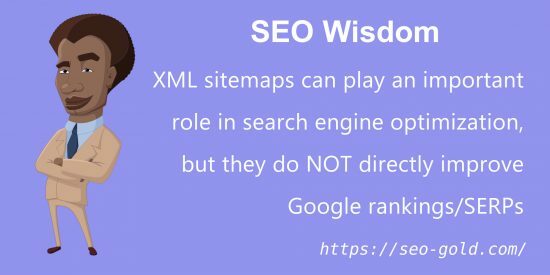 If for example you have a site with no XML sitemap and you add one, you will not find a week or two later all your SERPs have increased. Best case scenario is Google spiders new content and hard to find content faster, but the actual ranking overtime won’t change because that’s based on other factors (title tags, backlinks, content etc…). XML sitemaps basically mean potentially faster indexing, but it doesn’t mean higher rankings, though if Google can’t find a webpage to spider it, it has no chance of ranking for anything, so having new content crawled faster can increase Google traffic IF the content ranks high in Google. 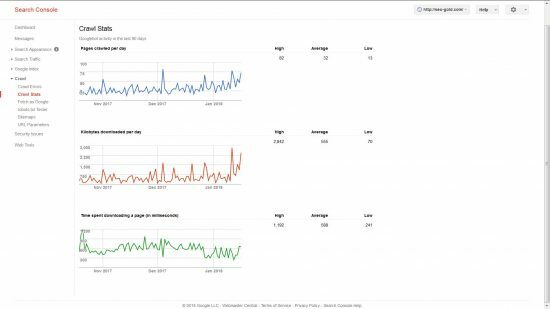 Imagine you are posting a time sensitive news article, if the webpage isn’t indexed for three days you’ve lost three days of traffic and the news has moved on.